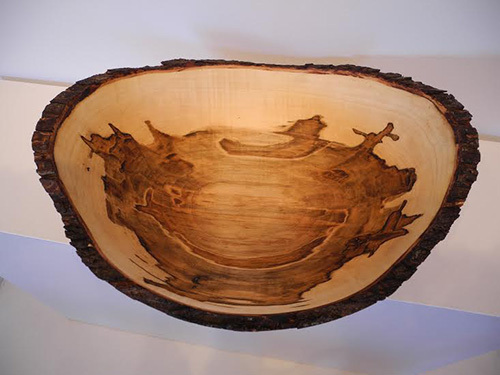 For over 22 years, Gary Matthews has been turning bowls of various shapes and sizes on his home-crafted lathe in a shop attached to his home in Tamworth, Ontario. His bowls range in sizes from 12 inches to 28 inches in diameter. Coming in all shapes, round, smooth, barked or waned, Gary's bowls are also finished with a natural finish of canola oil and bees wax in order for them to be fully functional as well as ornamental. Gary hand picks logs from various logging sites throughout Eastern Ontario. His 'wood of choice' is the red maple because of its unique grain patterns. 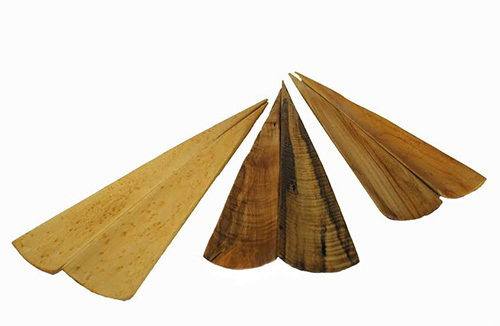 With such wood, Gary is easily able to product a vast array of designs so that each bowl is a one-of-a-kind creation. *Note - Gary also works with cherry wood, ash and hickory.